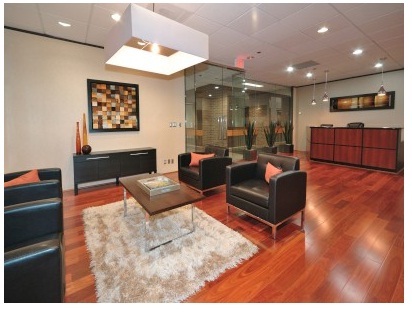 Directly across the Galleria Mall in Houston, on Westheimer, lies this sweet Executive Suites. This property is about 13 miles from Houston Hobby Airport and about 20 miles from George Bush Intercontinental Airport, with convenient access to Downtown Houston. Some of the amenities include three conference rooms, video conferencing capabilities, full kitchen, atrium lobby, and parking garage available on the property. Did you see the 55 hours of conference room usage per business cycle? Wow, that’s a nice luxury to have, especially if you are meeting clients on a regular basis. The center also has a touchdown package for $299. Basically, that’s a workstation that you have access to during business hours, 5 days a week. Great deal for someone starting out and wants to get out of the house. This property is run by a great Regional Manager name Shauna Steele, she will work hard to get you a great deal. Located at 4000 MacArthur Blvd, this beautiful Executive Suites feature furnished offices, bay and mountain views, free visitor parking, ATM’s, auto detailing, a café, and a recreational area. Kimera restaurant and Equinox Fitness is across the street. This center is very well managed by General Manager, Remaliah Evans. If you are serious about leasing, Remaliah is very good at meeting budgets. We have had a US Senator lease an office here, so if it’s good enough for a Senator, it’s good enough for you. Private offices start at $500, fully furnished!! To tour this facility, please call JC Nguyen at 949-800-5507 or email at jcnguyen@officeblvd.com. JC is the best person to get you the best deal. This office building is located in North Dallas on 635 near I-35. It’s a nice high rise with great views of the city. Plenty of free surface parking too. There is also a health club called Club Corp, which gives free health memberships to tenants. This is great for someone who doesn’t have time to go to the gym. Now you can go to the gym, take a shower, get dressed and go to work in the same building. This center is managed by General Manager, Debbie Richards. Debbie is a very hard working manager, and she will give you a sweet deal on an office if you are serious about leasing. She has single offices as well as large mini-suites available. Price-wise, in comparison with other Executive Suites in Dallas, her prices are more favorable. The only negative that I see about the center is that currently there is construction along 635 to expand the freeway, which may turn someone off who is driving by. This does not affect getting in and out of the center. The back road, Forest Lane, which leads to both I-35 and 635, takes you right to the parking entrance. Also, the construction will not last forever. If you can withstand the construction, you will get a great deal on a Class A office. If you would like a quote on an office or schedule a tour, please call JC Nguyen of Office Boulevard. Cell phone is 214-435-8623 or email jcnguyen@officeblvd.com. Yahoo! 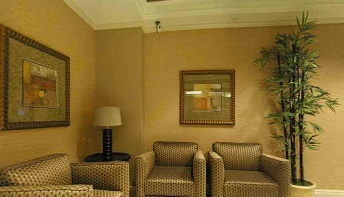 Center Executive Suites in Santa Monica, CA, recently opened! The Executive Suites at the Yahoo! Center is located in the heart of the Santa Monica Media District. It is home to companies such as Yahoo, Apple, CBS Broadcasting, HBO, eHarmony, Gensler Architects, Ruben Postaer & Associates, Advanstar, and Colony Capital. The park-like setting provides great outdoor areas including tennis courts, fields, parks, water features, and lots of outdoor seating. There is an on-site gym available. Nearby, you’ll find the home of MTV Networks (a Viacom company), Lionsgate, Universal Music Group, Sony Music, and several anchor-tenant financial service firms. The district is easily accessible via the 10 Freeway and Cloverfield Blvd. 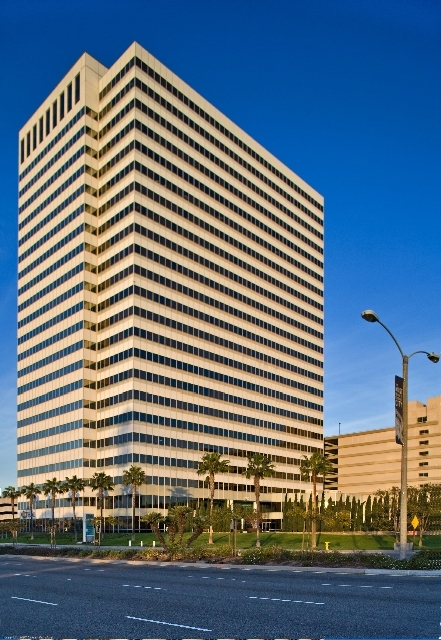 Local businesses provide convenient amenities in and around the Yahoo! Center including a health foods market, a Ralph’s grocery store and yoga studios. Nearby restaurants include Bistro of Santa Monica, Café Bizou, Daily Grill, Subway, Prego Ristorante, Trimana, and Café Sol. If you are looking for office space at this center, email us the following requirements. Executive Suites: Office of the future? I just spoke to one of my favorite managers in Orange County and she said that she has some terrific corner office suites available…in January! Her offices average $1000 per office that includes a phone system, T-1 internet and parking. Wait a minute, aren’t we in a recession? Every where I go, I see “Office Available”, or “Building for Sale”. 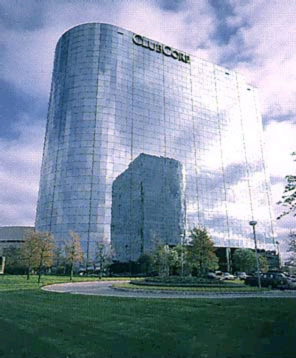 So why does a high-priced executive suite business center has a 100% occupancy rate? Is this a fluke? The fact is, there are many business centers nationwide that have high occupancy rates. 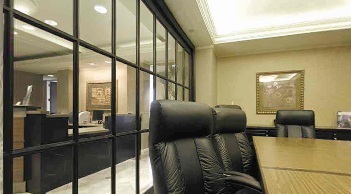 Having a high rate of 80% or more in occupancy is a norm in the Executive Suites industry. Think about the type of companies that does well in a recession. Discounters like Walmart and Target are thriving while other companies are laying off employees in order to survive. So, are Executive Suites the discounters of the Real Estate industry? No. As a matter of fact, on a per-square-feet basis, Executive Suites are more expensive than the traditional office. So why do Executive Suites do so well as a whole? There are quite a few reasons but the answer here is value. Think about the last time you went into a burger house. You can order a deluxe burger with all the trimmings for $3.95, a large fries for $1.99, and a large Coke for $1.79. Oh wait, let’s look at the combo meals to see if there are any value there. There it is, everything that you wanted for $5.95. 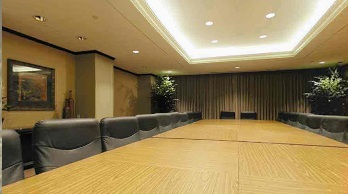 Executive Suites, in essence, bundle the office and the services together like a value meal and charge you one price. Let’s look at the normal services that are included in each office package. Services and packages differ for each business center, so make sure you talk to your center manager and ask her to explain to you everything that is included in your office “value meal”. For simplicity purposes, let’s look at the services found at most business centers. Reception services – think about how much you are paying a receptionist to answer your calls and meet-and-greet your clients. $10 per hour? In an Executive Suites, the meet-and-greet service is included in your office package, and personalized answering service is a measly $25-$100 per month extra. This service is worth every dime to have another person represent you and your company. Phones and voicemail – How much would you pay for At&T to install a business line at your office? What happens if your phone service is down, who will be there to get you back up? A phone system in an Executive Suites averages $50 a month, and if your phone goes down, someone is on it ASAP. Most business centers charge for long distance calls, so know what you are getting with your phone system so there are no surprises. Internet – The average price for internet in a business center is $50 per month. The speed varies, but typically it’s a T-1 line, more than adequate for your computer needs. Furniture – Not all Executive Suites include furniture in their office packages, so inquire to see if your office includes furniture. Sometimes, an office package is cheaper because it does not include furniture. You can benefit from this if you have your own furniture. Otherwise, there is a rental program that all business centers have. However, this is done usually through a third party and the prices can be high. Parking – does your center has parking fee? In Los Angeles, it’s difficult to get free parking. So budget the parking in with the office package to make sure you are getting the best deal. Parking fees range from free to $250/month in downtown LA. Conference rooms – Most business centers have conference rooms that will allow you to conduct team meetings and meet with clients. Check with your business center to see how much usage is included in your lease. Misc services that will benefit you and your business – Fax, beverage services, light secretarial duties, catering, networking, conference room usage, copy room services, concierge services are some that comes to mind. These services are either minimal monthly cost or charged per hour, depending on locations. I believe that Executive Suites will be the office of the future. With services like reception, conference room usage, and phone and internet services all packed into your lease at a fair monthly fee, more small companies are moving out of their large traditional offices and home offices into Executive Suites. 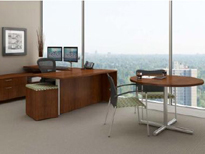 About Office Boulevard: We are a nationwide Executive Suites search firm. 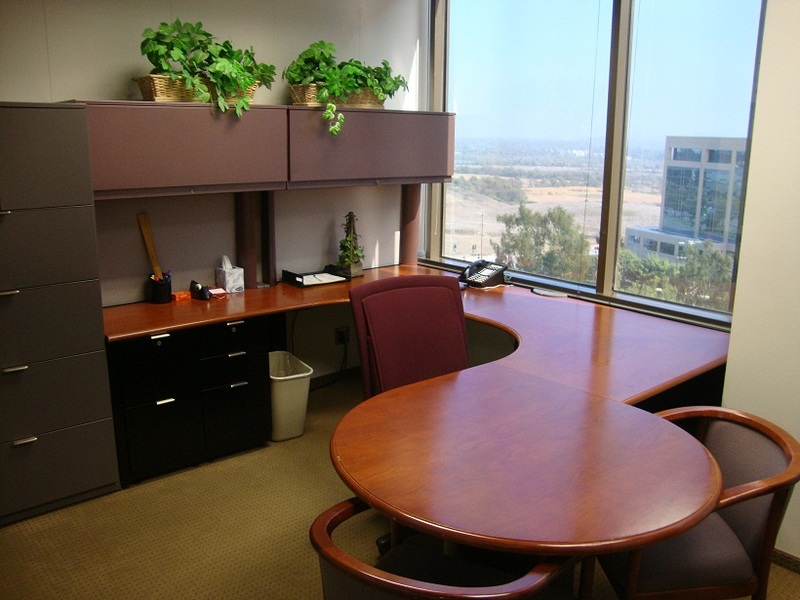 We will help you locate the best office for your requirements at the best price. Our services is always FREE to you. To inquire, please contact us at 949-800-5507 or inquire@officeblvd.com. To inquire online, please go to ineedoffice.com. Thank you, Meridian Business Centers in Dallas Texas! I just want to spend a moment on this blog to give thanks to Meridian Business Centers and Heather Johnston for my new iPad 2! Meridian Business Centers opened 2 new locations earlier this year in affluent neighborhoods of North Dallas. They also opened a new location near the Galleria in Houston. They had a contest to see who can fill the most offices at these two Dallas locations, and Office Boulevard WON! We are the recipient of Meridian’s first place prize, a brand new iPad 2! Thank you, thank you! If you are looking for all-inclusive, plug-and-play office in Dallas or Houston, please call me so I can introduce you to the wonderful people at Meridian. I will work with the managers directly to get you the best deals. Meridian’s prices start at $395, and that is an all-inclusive pricing! You get a lot for your money. Look at what is included in your lease. Honestly, I don’t know how they can make money giving away so much services, but from what I hear, Meridian’s tenants are very happy. Please call JC at 949-800-5507 or visit www.officeblvd.com to set up a tour to visit one of Meridian’s properties this week! Virtual Office, Why Do I need One? In this blog, I’d like to focus on virtual offices, pros and cons, and what to look for when you are searching for a virtual office for your business. First off, let’s look at what a virtual office is and what it does for you. Essentially, when you are leasing a virtual office, you are not leasing a physical office space in an executive suites. Instead, you are paying for services that the executive suites offer you, and at the same time, giving your customers the appearance that you do occupy physical space. I hate to use the words “give the appearance”, but the reality is, that is what you are doing. Face it, office space is expensive, and if you are a struggling business or a startup, it’s hard to shell out $500-$1000 for an office every month. All your customers see is your business address, and if you are not there 90% of the time, then a virtual office might be your best option. Let’s highlight the virtual services that are offered through professional executive suites. A professional mailing address. This is most crucial since it identifies your business with the professional location and allows you to collect mail and packages at this location. The cost for this service range from $50-$100 per month. Sure you can go out and get a PO Box and pay $5/month, but let’s not fool anybody here, you should never use a PO Box as your professional address. Personalized Answering Service. This is an option that you do not have to take, but it’s a great benefit to your business. The cost for this service is anywhere from $50-100 per month, and what you get is a live receptionist who answers calls in your company name during business hours. The calls then goes to a voice mail and you can choose methods of getting alerts, or you can choose for the call to transfer instantly to your cell phone, home phone or any phone you designate. This last option does have some added costs, but well worth it if you are in a business where you cannot afford to miss any calls, and adding a receptionist to your front line only makes you look better. Conference Room Access – This is also optional but this option is fantastic if you need to meet with clients once in a while. The cost ranges from $25-$50 per hour and what you get is a nicely furnished conference room to meet with that important client from out-of-town for an hour. If you think you will need more than a few hours a month, consider prepaying for a conference room package. For example, at Premier Business Centers, you can rent a conference room anytime during business hours for $35 per hour. At the same time, you can prepay $160 per month and get 16 hours, that works out to $10 an hour! A nice savings if you know you will need to use quite a few hours of conference time each month. An important note: conference time cannot be rolled over, this is not a cell phone plan, people. Let’s look at the pros and cons, in bullet points. If you have any questions, feel free to call me anytime. Most don’t do a credit check to qualify you for a virtual office. Conference room usage is during business hours, in most cases. Some will offer after hours if you pay an up -charge, and possibly more charges for security. So, now, what do you look for to make sure you are getting the best virtual office for your company? Choose a physical office that is close to your home. This will only makes thing easy for you if you need to stop by to pick up your mail, or meet with a client. Pick a respectable company. This is hard for you since you don’t know what different companies offer and how they can be part of your company growth when the time comes. For this option, I respectably will ask you to talk to me about this, since I am the expert in this industry and I will give you hard facts to help you determine if a particular executive suites is right for you. For example, a question I may ask you is if you travel in your business and if you meet with clients nationwide or even worldwide. This will help me focus on companies with nationwide and worldwide presence. Visit the center and ask for a tour of the offices. Don’t just show up, arrange appointments. I do this for my clients every day, free of charge. Price is not a huge concern here because most centers are very comparable in prices for virtual office. Instead, focus on your decision on what you think of the center, the layout, the staff, and picture yourself working in this environment. The simple reason is, every who starts with a virtual office eventually gets into a full-time office, so make sure you like where your second home is. Here is my contact information. If you have any questions, just pick up the phone or email me, I am always available. I love what I do, and I love helping people find the best deals. I will work with you no matter where you live, I have a lot of contacts and I know a lot of people 🙂 My services are always free to you, but all I ask is that you call me BEFORE you call the center manager or other search firms. That way, I can represent you on your behalf .